When it comes to attachment techniques, we believe that micro ring hair extensions offer the very best approach. Micro ring hair extensions (or micro weft hair extensions) is a technique that’s free of glue, heat, chemicals, sewing or braids – resulting in no damage to your own hair. The method combines strands of your natural hair with the handmade extension hair, which is then sealed and locked into place using tiny, undetectable rings. To remove the hair extension, we simply loosen the lock and it slides out. The standard micro rings available on the market can sometimes be too large and not always suitable for clients with fine or short hair. The end result is that they can be very visible and bulky, and have a tendency to slide out too easily. Recognising this, at Arabella Rose we have manufactured and designed our own rings, in different sizes and colours, making this method suitable for every client. Our clients love our micro rings due to their comfort, unnoticeable feel and tiny size. Visit our gallery to see our micro ring hair extensions in action, with examples of the beautiful hair we’ve created. The biggest concern that customers rightly have about hair extensions is the potential damage that may be caused to their own hair as a result of the hair extensions. Many clients who come to Arabella Rose have either heard about bad hair extensions or experienced them for themselves. We’re happy to say that our micro ring technique doesn’t use glue, heat or sewing, and is therefore very kind to your hair. With proper application and aftercare, our technique is completely safe and damage-free. 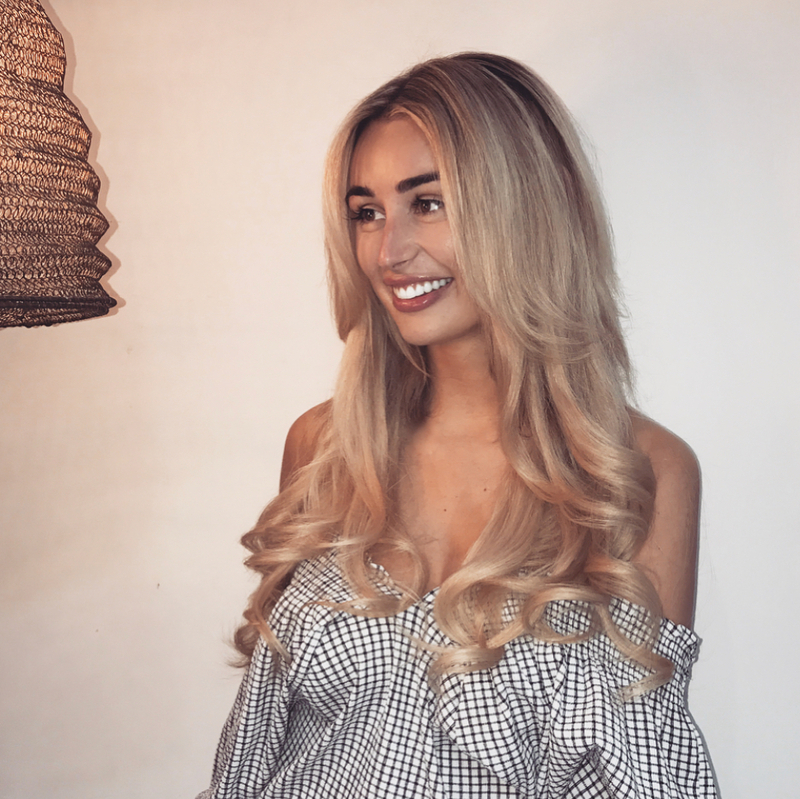 Given that the rings used are so small and securely attached close to the scalp, our micro ring extensions are virtually undetectable and look much more natural than other techniques. This may be one of the reasons for their enormous popularity amongst celebrities and notable figures in the showbusiness industry. Unlike other methods, micro ring hair extensions simply slide out once the locks have been loosened. The high quality Russian hair extensions can be reused time and time again, as we simply re-tip the hair and reposition. This means you get real value for money because you don’t have to buy new hair extensions every three months or so, as you would with other methods. Copper tubes – Available in a large number of colours and sizes, these are lined with silicone to provide a comfortable cushion for the hair and produce an elegant, flat bond and superb grip. Nano rings – Tiny, undetectable 2mm nano rings that are 90% smaller than a standard micro ring. Copper ring weft – This method uses small copper tubes to attach a weft. It’s an extremely fast process and leaves the natural hair completely undamaged. Easilocks – A revolutionary reusable human hair extension system. Easilocks is the best-kept secret in Hollywood, with many A-listers favouring this organic alternative. Arabella Rose is a certified Easilocks hair extension salon.